Whether you sell subscriptions to bath products, dog toys, or light-up socks, managing a subscription box service takes work. If you’re a small operation, you likely put the boxes together yourself, enlisting friends or employees to help package everything for your loyal customers. But your business has been growing (which is great!) and you’re having difficulty keeping up with the increased demand. 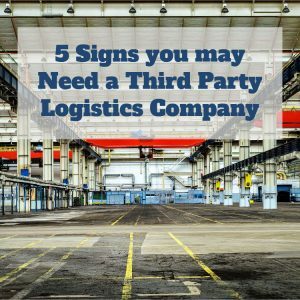 You may wonder if the cost of working with a third-party logistics company is worth it in the long run, and if hiring out storage, packaging, and shipping to someone else may cause more headaches. The way things are now, you or someone you authorize has to be available to receive any shipments of the individual products that make up your subscription box, and each shipment must be checked for accuracy. This can take hours out of your day, especially as the number of products you receive increases. And once the products are in your hands, you have to find a way to store them before you prepare the individual subscription boxes, meaning either your living or office space is crammed full of boxes or you have to pay for separate storage space. 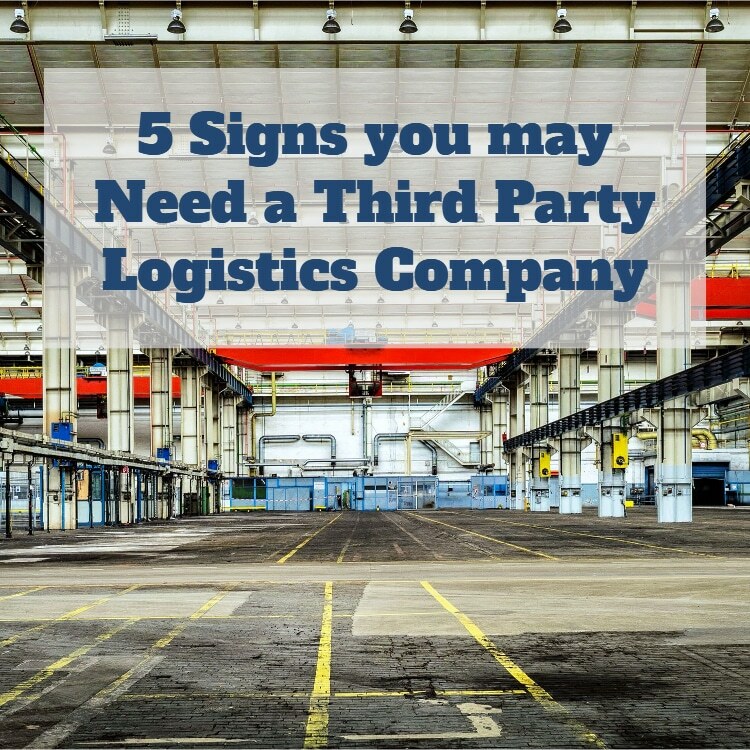 When you use a 3PL company, you don’t have to worry about any of those tasks. The staff of the 3PL receives all your individual products, checking each shipment to be sure what was ordered is exactly what was received. The 3PL then deals directly with the manufacturer or distributor in case of a problem, only getting you involved if absolutely necessary. After all shipments have been received, your 3PL stores them in dedicated warehouse space, using sophisticated software to ensure that your products are always easy to find on the shelves. When you’re handling everything on your own, all staffing costs come out of your profits. That means if you have a month where sales increase and you need to increase staff to meet demand, the cost of those extra people is coming out of your overall profits. And, any training, insurance, and other benefit costs paid to employees who pack boxes are paid directly by you, making for complicated bookkeeping. In hiring a 3PL, those warehousing, packing, and shipping staff costs are handled by the 3PL and built into your overall contract cost. You’re sharing workers with multiple other companies, so the cost of hiring an individual employee is much less than if you were hiring directly. Additionally, you don’t have to worry if someone calls in sick or quits; we handle all the staffing changes and you never know the difference. As your subscription box service gains more customers, that means increased storage costs, increased time to package and ship, and increased staffing needs. When handling all these issues on your own, it can be difficult to scale as quickly as demand requires. That leaves you and your staff working long hours, cutting into your profits and causing burnout. Because a 3PL has a well-established infrastructure – warehouse space, staff, and equipment – it is far easier for your business to grow right when you need it to. If you need more warehouse space one month, your 3PL just adapts to meet this need. And if you need more people to help pack and ship the boxes to your customers, the logistics company shifts around its employees as necessary to get your products out to customers on time. Since 1984, Cannon Hill Logistics has provided affordable, customizable third-party logistics solutions to a variety of businesses from our facility on the East Coast. Whether you need someone to receive and store your products, pack and ship your subscription boxes, or handle customer orders and inquiries, our dedicated, friendly team can build a solution for you. Contact us today to become a partner in your business growth! We are thrilled to welcome Snorf Industries to the Cannon Hill Logistics family! Founded in 2013, Snorf Industries makes hats, hoodies, and pullovers to keep dogs – specifically Boston terriers, French bulldogs, English bulldogs, and pugs – warm and dry in cold weather. Of specific concern were the dogs’ ears, and Snorf’s BatHat(TM) design keeps the tips of dogs’ ears warm while allowing the ears to remain upright. In 2015, Snorf Industries raised 125% of its Kickstarter fundraising goal, and was named a Staff Pick by Kickstarter. Snorf’s products are manufactured in New Hampshire – right here on the East Coast! – and use mostly American-made fleece fabrics. Check out everything they have in stock in their online store. Not only does Snorf make products that keep dogs warm and cozy, they also give 5% of their net profits to dog rescue charities. At Cannon Hill, we handle online order processing for Snorf Industries, so we get to send those adorable fleece hoodies out to pups everywhere. We’re happy to support another East Coast-based business! Since 1984, Cannon Hill Logistics has provided individually designed logistics solutions for businesses from our conveniently located warehouse on the East Coast. Whether you need help with order processing, kitting services, or full-scale logistics management, we can design an affordable, reliable solution for you. Contact us today to discuss your needs! You walk into your local grocery store and trust that your favorite brand of coffee will be right there on the shelf, ready for you to take home for your daily caffeine fix. But have you ever stopped to consider the route that coffee takes to get from the field to the store shelf? First, What Is Product Distribution? At its most basic, product distribution is the path that products take from manufacturer to consumer. Product distribution involves transportation, packaging, and delivery. Effective, efficient product distribution is essential to the financial health of all businesses along the chain – manufacturers, distributors, agents, and retailers. There are two basic types of product distribution channels: direct and indirect. Direct distribution channels take products directly from the manufacturer to the consumer. An easy example of a direct distributor is handmade goods website Etsy. A consumer purchases a product directly from the person who creates it, and the creator sends the product directly to the consumer. Indirect distribution means there is at least one intermediary between manufacturer and consumer. For example, manufacturers who sell their products through Amazon send the products to Amazon’s warehouse. Consumers then purchase the product from Amazon, and the product is sent from Amazon’s warehouse to the consumer. There are four different levels of distribution channels, with each adding a person or business between the manufacturer and consumer. Level 0 channels have product moving from the manufacturer directly to the consumer. Level 1 channels have one intermediary between the manufacturer and consumer, often a retailer who buys from the manufacturer and sells to the consumer. Level 2 channels insert two intermediaries between manufacturer and consumer, such as a wholesaler who buys from the manufacturer and sells to a retailer. The retailer then sells to the consumer. Level 3 channels include three intermediaries, usually an agent working on behalf of a company and dealing with the wholesalers. Fulfillment centers like Cannon Hill Logistics typically do not add another level to the distribution chain. Rather, they work to improve costs and efficiency for a client who already has a role in the distribution channel. Within the levels of distribution, there are three main types of distribution. Intensive distribution focuses purely on saturating the market as much as possible. There is no cap on the number of retailers or wholesalers; manufacturers want their products on as many shelves as they can manage. Coke and Pepsi, for example, focus on getting in front of as many consumers as possible. Selective distribution targets specific markets, capping the number of distribution hubs in any given area. An example of this would be Walmart deciding to only carry a particular product in five locations in a geographic area, creating buzz and a feeling of demand for consumers. Exclusive distribution limits availability to a few locations worldwide. The scarcity creates a feeling of rarity and prestige around the brand. Examples of exclusive distribution include high-end automotive companies such as Ferrari and Bugatti. Understanding product distribution channels can help you better select your preferred route to the consumer, and can help you maximize your business’s profitability. At Cannon Hill Logistics, we offer logistics solutions for businesses of all sizes. Our location near the Port of Baltimore in Maryland allows us to reach more than half the United States population by ground shipping within three days. Contact us to learn how we can help you grow your business. Have you ever ordered something online, only to get the dreaded email a few days later that the item is out of stock and the store can’t fulfill your request? Though sometimes stock shortages are unavoidable, especially if an item sees a sudden spike in demand, a better inventory management system can alleviate the problem. A modern, powerful IMS keeps track of how many of an individual item is in stock, automatically deducting from the total every time a purchase is made. Your customer also sees this number when viewing your website, and will be prevented from ordering an out-of-stock item. Having a modern IMS will mean less hassle for your customers, which likely will lead to repeat orders. The best inventory management systems store a wealth of information, including where in the warehouse items are shelved. This helps keep your stock organized and makes sure things get shipped correctly. And when the correct items are shipped to the correct customers, the amount of returned items decreases. If you rely on a less sophisticated IMS, it is much easier for items to be incorrectly shelved in the warehouse, leading to incorrect shipping, increased returns, and dissatisfied customers. If the warehouse location of each product is stored accurately in the IMS, things are much easier to find when an order is placed. This means your warehouse team – or your third-party logistics company – can quickly process, pack, and ship products to your customers. Improved order processing allows your products to reach your customers faster, boosting their satisfaction and improving your reputation as a business. Improperly managed inventory can lead to a whole host of pricey problems – broken or damaged stock that must be replaced, overstocking, frequent returns, and need for more warehousing space, to name a few. With a robust IMS, you can stay on top of how much of each product you have in your warehouse, buying only what you need to keep business rolling. And the more money you save on stocking and warehousing costs, the more money you have to re-invest and grow your business. Consistently having an idea of how much product you have in stock and being able to see spikes and dips in ordering allows you to more accurately predict how much product you will need at a given time. If your IMS data shows that you sell a lot of Product A in June and July, for example, you can begin to stock up in May but taper off ordering once August hits. You also will be able to more effectively predict hiring needs, adjust product pricing, and expand into new product lines into the future. At Cannon Hill Logistics, we utilize the latest in inventory management systems, allowing us to properly support our clients’ businesses and growth goals. We take pride in designing customized solutions for businesses of all sizes. Contact us today to see how our conveniently located East Coast warehouse can build your business. The sun is the biggest free power resource, and letting the sunlight in during the day can help dramatically cut down on your need to run overhead lights. Though the initial cost output is greater, especially since you’re cutting into the roof of your building, the total savings over time will make up for the expense. Of course, this is only a feasible option if you own your building. Have you ever been in your warehouse and seen the conveyor belt running with no one using it? Constantly running an unused machine during business hours is a serious waste of energy and money, which eats into your profits and your business’s carbon footprint. Reminding your employees to turn off machines and equipment when they’re not in use can save you significant money over time. Commercial HVAC systems can eat up serious power and money. Many of them, especially in warehouses, are aging, which means they aren’t running as efficiently as they could be. Bringing an HVAC professional in to check and clean your system, and make any recommendations for maintenance and repair, can help keep your overall heating and cooling costs low and reduce the likelihood you will experience a major system failure. Temperatures inside a warehouse, like any other building, fluctuate based on the time of day. In summer, indoor temperatures are cooler earlier in the morning and later in the afternoon. In winter, it’s warmest mid-day. If your business flow allows, consider creating summer and winter hours that allow your employees to work early and/or late in summer to avoid having to run the air conditioning for long periods of time in the heat of the day. In winter, adjust your hours to take advantage of the warmer daytime hours so your heat use will be lower. Of course, the best way to save on warehouse energy costs is to outsource your warehousing to a third-party logistics (3PL) company. Because you no longer have to bear the costs of warehousing – less space to heat and cool, fewer breakroom appliances to power, and less machinery to operate – your business’s overall energy consumption costs will go down. The cost of energy consumption is passed on to the 3PL, which then spreads the costs among the fees charged to clients. Because many businesses are participating in paying for energy costs, the amount you as one business owner will pay is lower. At Cannon Hill Logistics, we pride ourselves on finding flexible solutions for all our customers – large and small. We are located near the busy Port of Baltimore, and your product can reach more than half the population of the United States within three business days. Contact us to learn more about our warehousing, shipping, and logistics solutions. Many times, sales events are planned well in advance, often coinciding with particular retail seasons. Other times, especially for smaller e-retailers, sales are developed and announced on the fly, with very little notice to anyone. If an e-retailer’s distribution center isn’t given proper warning about an impending sale, the influx of orders awaiting fulfillment can cause everyone to scramble to get everything done. If the sale is large enough, or if multiple companies utilizing the same 3PL have sales, the distributor may not have enough staff on-hand to process all the orders in a timely fashion. This can lead to an increase in overtime, a sudden hurry to hire temporary employees, and a lack of branded shipping supplies. Allowing a 3PL a little notice can make a world of difference in order processing time during a big sale. Because a sale usually means an increase in the amount of orders that need processing, many 3PLs with already tight staffing schedules may be required to hire temporary workers to help process orders and returns. This process takes time, even under the best conditions. This issue can be a difficult one to avoid, as no one truly can predict how successful a sale will prove, but it’s best to give your 3PL some extra lead time if you estimate a major increase in order processing requests that may require more staffing for distribution. Though 3PLs work very hard to avoid the need for returns through the use of sophisticated inventory-control software, extra care in packing and shipping, and staff training, a percentage of overall sales coming back as returns is unavoidable. When the amount of orders increases, so does the amount of potential return requests. Returns require extra man hours to process and, if a customer is exchanging an item, there’s the additional shipping supplies and cost that comes along with that. The cost of returns can add up quickly, but helping your 3PL be prepared to handle them can decrease frustration for you, your 3PL, and your customers. Sales can be great for everyone – The customer gets a reduced price, the retailer gets increased sales, and the 3PL gets increased revenue from additional order processing. To help your 3PL ensure successful order processing during a sales event, communicating your distribution needs early and often can make the whole sales process more pleasant for everyone involved. For sales event order processing, and all other routine distribution and logistics needs, contact Cannon Hill Logistics. Our experienced logistics experts can help you design a plan to fit your needs. We are excited to welcome one of the newest members of the Cannon Hill Logistics team: The Adventure Park! Outdoor Ventures Group, LLC, started in 2008, inspired by outdoor adventure parks in Switzerland. They design, build, and operate seven adventure parks that aim to connect people with the outdoors. The parks consist of a series of platforms constructed at various levels throughout the trees. The platforms are connected by bridges of various types, and participants maneuver from platform to platform together. Each course is color-coded based on difficulty. All participants wear safety harnesses for protection. All the courses are constructed to make a minimal impact on the natural environment. The trees are all well-cared-for by the staff of OVG. The beauty of the natural landscape and the outdoor activity promotes ecotourism, which focuses on responsible travel and sustainability. “We took our boys here yesterday. All of us were new to zip-lining and the short training session was perfect. There was plenty for my 7 and 12 year old to do, as well as my husband and I. The staff was great too. I will be sharing my awesome experience. Thank you for a great time.” – Alisha B. “Took our summer camp there for a field trip and wasn’t sure what to expect. Our kids ranged from 2nd to 5th grade and each and every one had a blast! None of us had any previous experience but the staff did a wonderful job explaining everything. I would highly suggest visiting! I also think it could make a great date night!” – Nik H.
“I had an amazing experience at the adventure park yesterday! The staff was so helpful. It was my first time and they walked me through everything and were so nice! I recommend this place to everyone!” – Kayla B. We love the philosophy behind everything The Adventure Park does – promoting the natural world, encouraging spending time together, and getting people out and moving! At Cannon Hill Logistics, we are proud to help them grow their business! If your business is seasonal in nature, or you experience seasonal cyclical fluctuations, making sure your warehouse is staffed properly can be difficult. In fact, maintaining a seasonal or part-time workforce may end up costing your business money, eating into your profits. Outsourcing your packing and shipping to a 3PL allows you the flexibility of having workers when you need them without worrying about hiring, training, or payroll costs. As a small business owner, it’s easy to get bogged down in the tasks of everyday operations. Some of the things that are important to making sure your business grows can take a backseat, such as finding new markets for your products and building vital relationships with new partners. If you notice that these crucial activities are being superseded by processing orders and returns, or making sure your warehouse is properly staffed, bringing in a 3PL can free up your time for these important tasks. Storing all your merchandise is expensive. As your business grows and you develop the need to store more products, it may become clear that your current warehouse space isn’t going to cut it much longer. Rather than hunt for more storage space, which can easily eat up your extra budget space, a 3PL has the capability to store more products than any small business can manage. Innovation is important for any business, and developing and marketing new products allows your business to grow and diversify. If you already feel bogged-down by packing and shipping the products you currently carry, adding new ones can seem out of the question. Also, if you’re spending late nights making sure orders go out on time, you’re not left with much time to spend on activities that grow your business. Tasking a 3PL with the day-to-day management of your inventory gives you more time to do what you do best – Create products people love. Returns and exchanges are just a part of doing business, though a frustrating and time-consuming one. If you’re spending a lot of time and manpower tracking down replacement items for your customers, it may be time to consider extra assistance. A 3PL has the staff to hunt down mislabeled merchandise and process returned products, saving you money. While hiring a 3PL may seem like a big step for a small business, it’s one that many face when experiencing growth. There’s no magical time that’s right for every business, but it is important to consider multiple factors and needs when thinking about bringing in an outside group to handle packing and shipping. If you believe the time is right, contact Cannon Hill Logistics to find out how our quality third party logistics services can help you make your business the best it can be!